Sir Michael James Lighthill, FRS (23 January 1924 – 17 July 1998) was a British applied mathematician, known for his pioneering work in the field of aeroacoustics. Lighthill was educated at Winchester College, and graduated with a BA from Trinity College, Cambridge in 1943. He specialised in fluid dynamics, and worked at the National Physical Laboratory at Trinity. Between 1946 and 1959 he was Beyer Professor of Applied Mathematics at the University of Manchester. Lighthill then moved from Manchester to become director of the Royal Aircraft Establishment at Farnborough. There he worked on the development of television and communications satellites, and on the development of manned spacecraft. This latter work was used in the development of the Concorde supersonic airliner. In 1955, together with G. B. Whitham, Lighthill set out the first comprehensive theory of kinematic waves (an application of the method of characteristics), with a multitude of applications, prime among them fluid flow and traffic flow. Lighthill's early work included two dimensional aerofoil theory, and supersonic flow around solids of revolution. In addition to the dynamics of gas at high speeds he studied shock and blast waves and introduced the squirmer model. He is credited with founding the subject of aeroacoustics, a subject vital to the reduction of noise in jet engines. Lighthill's eighth power law states that the acoustic power radiated by a jet engine is proportional to the eighth power of the jet speed. He also founded non-linear acoustics, and showed that the same non-linear differential equations could model both flood waves in rivers and traffic flow in highways. 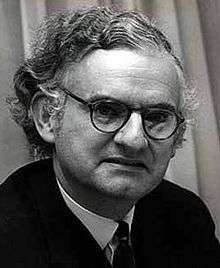 In 1964 he became the Royal Society's resident professor at Imperial College London, before returning to Trinity College, Cambridge, five years later as Lucasian Professor of Mathematics, a chair he held until 1979, when he was succeeded by Stephen Hawking. Lighthill then became Provost of University College London (UCL) – a post he held until 1989. Lighthill founded the Institute of Mathematics and its Applications in 1964. In 1968, he was awarded an Honorary Degree (Doctor of Science) by the University of Bath. In 1972 he was invited to deliver the MacMillan Memorial Lecture to the Institution of Engineers and Shipbuilders in Scotland. He chose the subject 'Aquatic Animal Locomotion'. In the early 1970s, partly in reaction to significant internal discord within that field, the Science Research Council (SRC), as it was then known, asked Lighthill to compile a review of academic research in Artificial Intelligence. Lighthill's report, which was published in 1973 and became known as the "Lighthill report," was highly critical of basic research in foundational areas such as robotics and language processing, and "formed the basis for the decision by the British government to end support for AI research in all but two universities", starting what is sometimes referred to as the "AI winter". Lighthill was awarded the Ludwig-Prandtl-Ring from the Deutsche Gesellschaft für Luft- und Raumfahrt (German Society for Aeronautics and Astronautics) for "outstanding contribution in the field of aerospace engineering" in 1983. His hobby was open-water swimming. He died in the water in 1998 when the mitral valve in his heart ruptured while he was swimming round the island of Sark, a feat which he had accomplished many times before. Lighthill, M. J. (1952). "On sound generated aerodynamically. I. General theory". Proceedings of the Royal Society A. 211 (1107): 564–587. Bibcode:1952RSPSA.211..564L. doi:10.1098/rspa.1952.0060. Lighthill, M. J. (1954). "On sound generated aerodynamically. II. Turbulence as a source of sound". Proceedings of the Royal Society A. 222 (1148): 1–32. Bibcode:1954RSPSA.222....1L. doi:10.1098/rspa.1954.0049. Lighthill, M. J. (1958). Introduction to Fourier Analysis. Cambridge Monographs on Mechanics. Cambridge, UK: Cambridge University Press. ISBN 0-521-09128-4. Lighthill, M. J. (1960). Higher approximations in aerodynamics theory. Princeton University Press. ISBN 0-691-07976-5. Lighthill, M. J. (1986). An informal introduction to theoretical fluid mechanics. Oxford: Clarendon Press. ISBN 0-19-853630-5. Lighthill, M. J. (1987). Mathematical Biofluiddynamics. CBMS-NSF Regional Conference Series in Applied Mathematics. Society for Industrial Mathematics. ISBN 0-89871-014-6. Lighthill, M. J. (2001). Waves in fluids. Cambridge, UK: Cambridge University Press. ISBN 0-521-01045-4. Lighthill, M. J. (1997). Hussaini, M. Yousuff, ed. Collected papers of Sir James Lighthill. Oxford: Oxford University Press. ISBN 0-19-509222-8. ↑ Pedley, Tim J. (2001). "Sir (Michael) James Lighthill. 23 January 1924 – 17 July 1998: Elected F.R.S. 1953". Biographical Memoirs of Fellows of the Royal Society. 47: 333–356. doi:10.1098/rsbm.2001.0019. ↑ O'Connor, John J.; Robertson, Edmund F., "James Lighthill", MacTutor History of Mathematics archive, University of St Andrews . ↑ "The Oxford Dictionary of National Biography". 2004. doi:10.1093/ref:odnb/68885. ↑ "Engines of Ingenuity No. 2250: Sir Michael James Lighthill by John H. Lienhard". Retrieved 28 July 2011. ↑ Pedley, T. J. (2001). "James Lighthill and his contributions to fluid mechanics". Annual Review of Fluid Mechanics. 33: 1–0. Bibcode:2001AnRFM..33....1P. doi:10.1146/annurev.fluid.33.1.1. ↑ "Michael James Lighthill". University of St Andrews. Retrieved 25 August 2015. ↑ Lighthill, M. J.; Whitham, G. B. (1955). "On Kinematic Waves. I. Flood Movement in Long Rivers". Proceedings of the Royal Society A: Mathematical, Physical and Engineering Sciences. 229 (1178): 281. Bibcode:1955RSPSA.229..281L. doi:10.1098/rspa.1955.0088. ↑ Lighthill, M. J.; Whitham, G. B. (1955). "On Kinematic Waves. II. A Theory of Traffic Flow on Long Crowded Roads". Proceedings of the Royal Society A: Mathematical, Physical and Engineering Sciences. 229 (1178): 317. Bibcode:1955RSPSA.229..317L. doi:10.1098/rspa.1955.0089. ↑ Crighton, David (March 1999). "Obituary: James Lighthill". Physics Today. 52 (3): 104–106. Bibcode:1999PhT....52c.104C. doi:10.1063/1.882537. ↑ Lees, Milton (1959). "Review: Introduction to Fourier analysis and generalised functions, by M. J. Lighthill". Bull. Amer. Math. Soc. 65 (4): 248–249. doi:10.1090/S0002-9904-1959-10325-6. ↑ Smith, Peter K.; Jordan, Dominic William (2007). Nonlinear ordinary differential equations: an introduction for scientists and engineers. Oxford [Oxfordshire]: Oxford University Press. ISBN 0-19-920825-5.